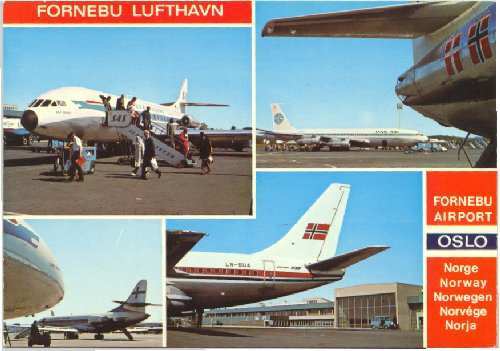 Some images from Fornebu's past. 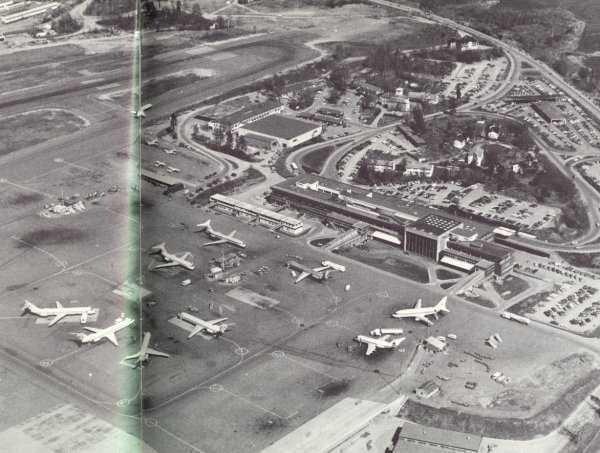 SAS DC7 outside the terminal (right) sometime in the 50's. 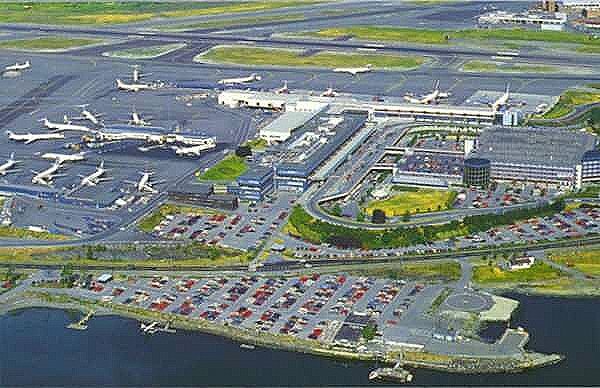 Main terminal area 1980 (above) and ca. 1992 (below). The wreckage of Convair Metropolitan OY-KPB is now being used by the firebrigade. It has now been moved to Gardermoen. 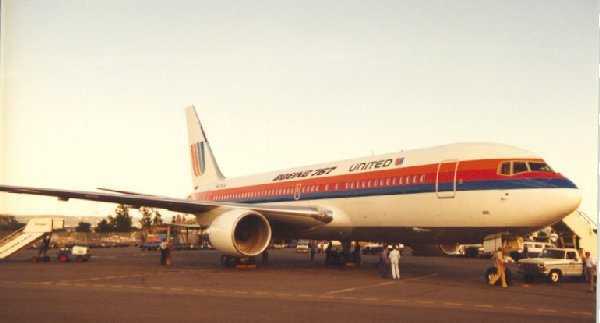 United B767-222 N605UA on a promotional visit in 1982 (?). 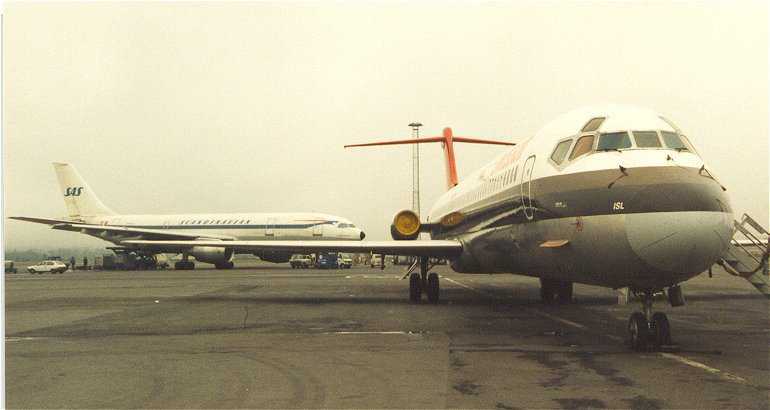 SAS A300 and Swissair DC9-51 (HB-ISL), 1982. 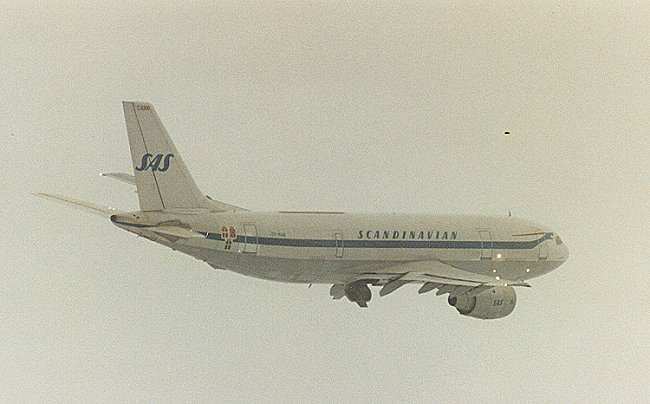 2 pictures of SAS A300 OY-KAA taken ca. 1982. 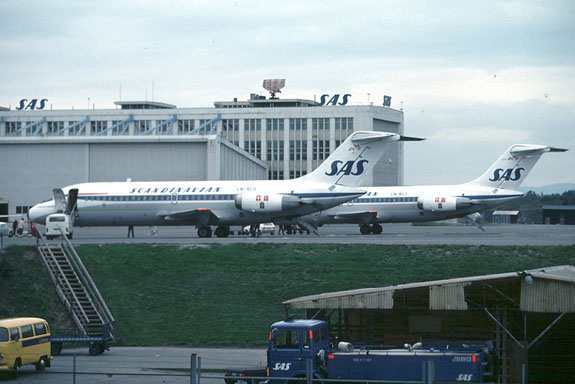 SAS DC9-21 LN-RLO and -41 LN-RLJ at Fornebu in 1978. 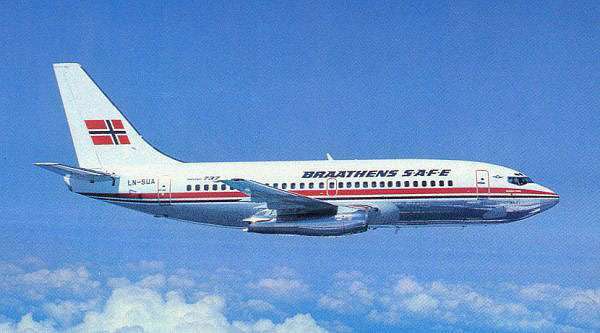 Braathens SAFE's B737-205 LN-SUA was their main workhorse for many years. Fred. 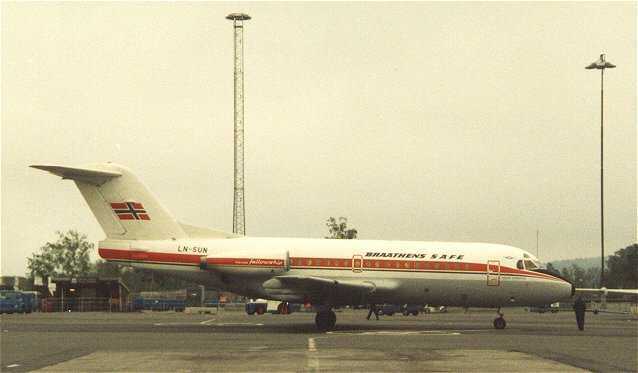 Olsen ceased flying in 1998. 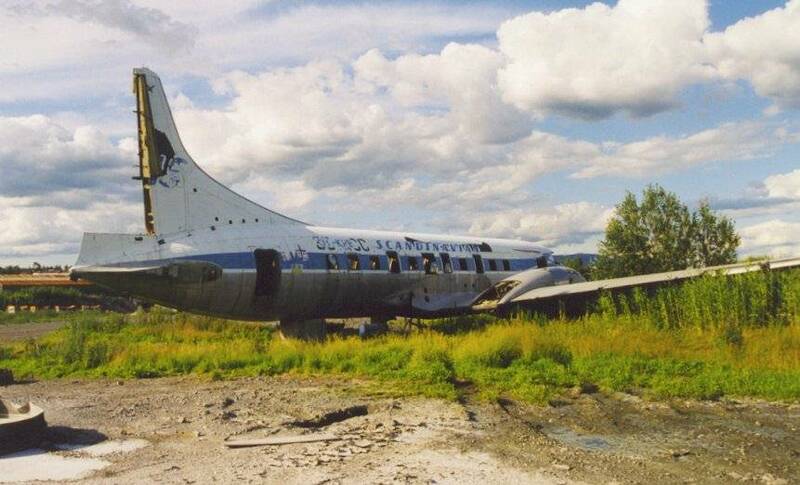 Here's Lockheed Electra LN-FOI awaiting sale. 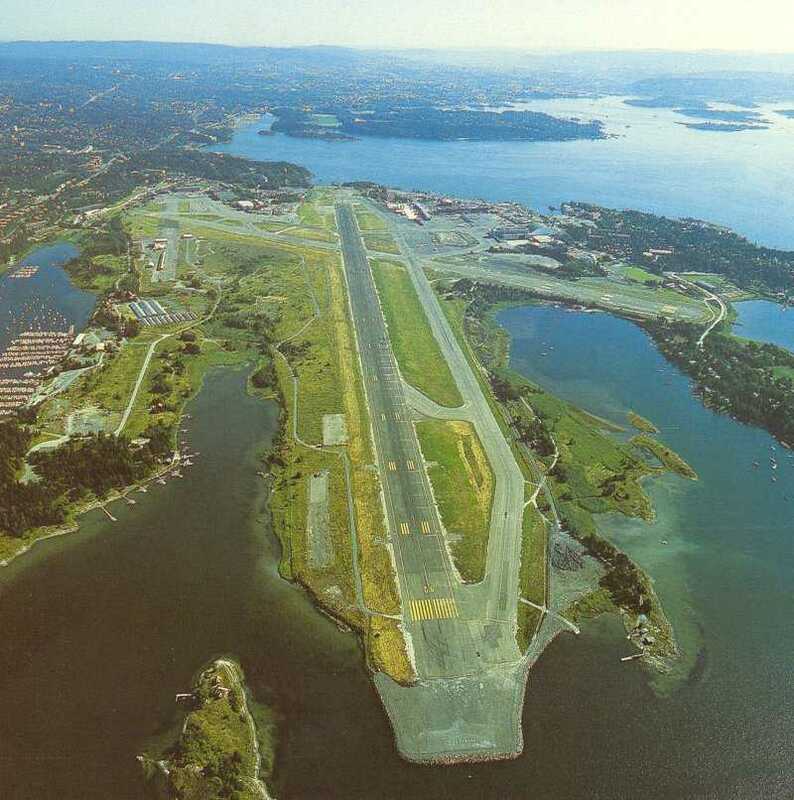 Gardermoen was closed in the summer of 1989 for runway repairs and the traffic was transferred to a temporary charter terminal at Fornebu North. 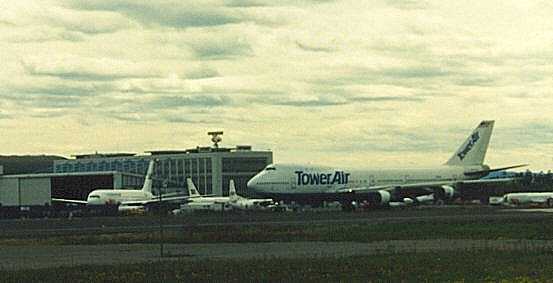 On one occasion Tower Air operated 2 B747-100's at the same time. 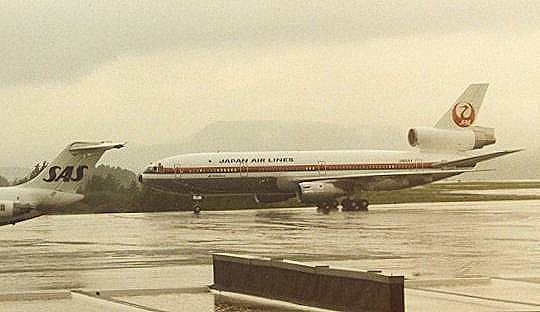 Due to FBU's short runway (2200m), the 747's were not able to operate with full payload. Also Cargolux operated a 747 to FBU in this period. 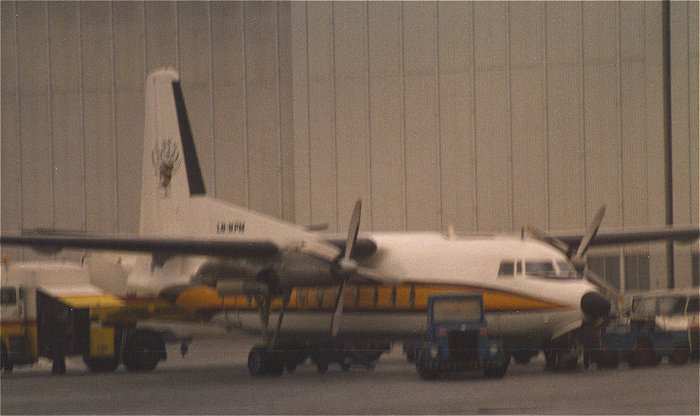 Busy Bee flew F-27 Friendships to FBU for many years, This is LN-NPM. 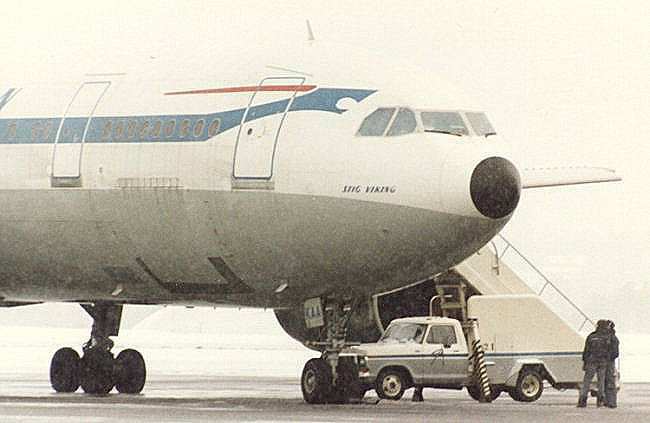 SAS experimented with a bare metal texture on one DC9-41 in the early eighties. I beleive it was OY-KGG.